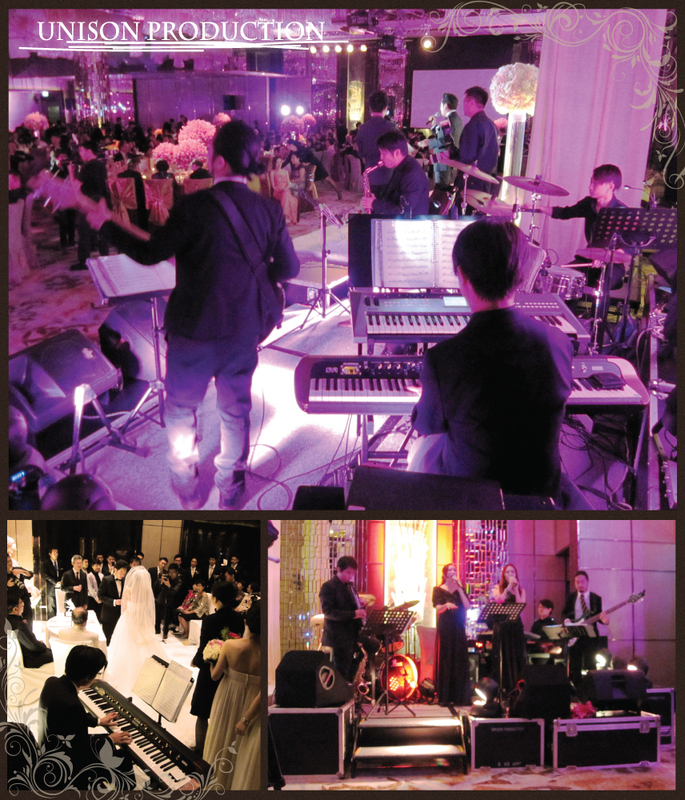 14 Oct 12 Wedding live music in Ritz Carlton Hotel | UNISON PRODUCTION - Enjoy the music like we do..
今日是Anna and Brian 的大喜日子，Anna 是我地早兩年前另一個客Alice 介紹的。記得半年前Anna 第一次上 Unison, 我地傾計聽歌, 非常投契, 連晚飯都忘記了。當晚更收到她的窩心訊息，她讚我地嘅現場錄音”very amazing” hahaha !!!! 晚宴上, 我另安排了Full band performance。我習慣於席間在場內巡場 (haha), 其實是觀察客人的反應，最重要是要注意聲浪會否太大，怕影响客人傾計。同時間，我知道當晚有很多賓客來自不同地方，其中有幾圍是來自日本。我特別挑選了一首日文歌，來獻唱給她們聽。新郎哥Brian 的精釆驚喜演出，賓客們看得如痴如醉。一些年輕賓客更興奮得跟我們樂隊jam 歌，玩得不亦樂乎! 最令我感動是一對新人對我們的讚賞，他們向賓客逐一介紹每位成員，並握手道謝! !